On the morning of September 11, 2001, terrorists hijacked passenger airliners and flew them into the twin towers of the World Trade Center in New York, as well as the Pentagon in Washington, killing nearly 3,000 people. It was the first time since the Japanese attack on Pearl Harbor that the United States suffered a blow of this scale on its own soil. The 9/11 attacks had a worldwide impact. The United States launched a global “war on terror,” overthrowing the Islamic regime in Afghanistan and the dictatorship of Saddam Hussein in Iraq. In the modern world, terrorism comes primarily in three forms: state terrorism under communist regimes; terrorist activity carried out abroad by agents of communist regimes, with the aim of spreading violent revolution; and Islamic extremism, which owes much of its ideology and methods to communism. The communist century was one of lies, violence, and killing. Terrorism, in particular, has been an important tool for communists to spread their ideology around the world. The rise of a communist regime results in, without exception, the mobilization of the state machine to impose terrifying brutality. This government-sponsored repression is state terrorism. Following the creation of the Soviet Union, the communist regimes of Joseph Stalin, Mao Zedong, Pol Pot, Fidel Castro, Erich Honecker, Nicolae Ceaușescu, Kim Il Sung, and other despots all depended on killing to maintain their power. The violence and barbarism of their state terror have been addressed in previous chapters. Violence and murder are but one component of communism’s terrorist agenda. 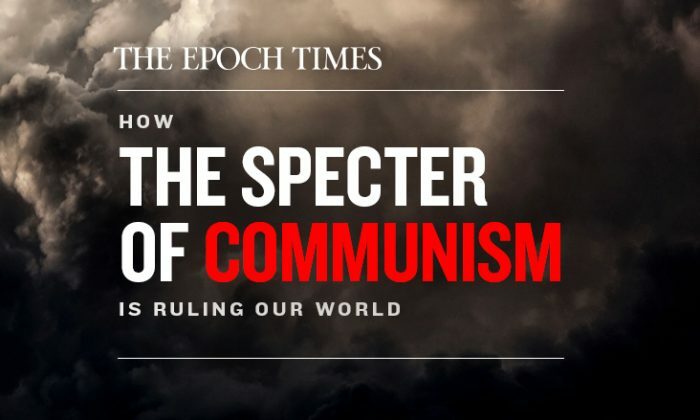 Even more destructive is how communism uses the combined powers of political and religious fervor to indoctrinate people with communist party culture, planting the seeds of deceit, hatred, and violence to be passed from generation to generation. While imposing state terrorism on their own people, communist regimes support terrorist organizations abroad for the purpose of fomenting revolution or destabilizing rival states. Many extremist groups that staged anti-U.S. attacks — among them the Popular Front for the Liberation of Palestine, Japanese Red Army commandos, Italy’s Red Brigades, Germany’s Red Army Faction, Turkish arms smugglers, and South American guerrillas — had the support of the Soviet KGB. In 1975, Richard Welch, director of the CIA’s office in Athens, was assassinated by Greek Marxists. In 1979, top NATO commander General Alexander Haig was the target of an attack by the Red Army Faction near Brussels. Three of his bodyguards were wounded when a bomb exploded under their vehicle, which was following the general’s vehicle. In September 1981, General Frederick J. Kroesen, commander of the NATO Central Army Group, was injured in Heidelberg, West Germany, when members of the Red Army Faction fired an anti-tank rocket at his armored car. The most influential form of modern terrorism, however, was the radical Islam nurtured by the Soviet bloc as a means of destabilizing the Muslim world. In the first half of the 20th century, the Middle East belonged to the Western colonial sphere. As peoples in the region gained independence, the Soviet Union took the opportunity to gain influence among them. Today, the Middle East finds itself in a complex and chaotic situation resulting from the contradictions between Muslim denominations, the Arab–Israeli conflict, the Cold War, the politics surrounding oil, and the clash of civilizations between the Western and Islamic cultural spheres. It was against this background that the Soviet Union carried out its penetration of the Muslim sphere. This may seem contradictory at first glance. Muslims follow an Abrahamic faith and believe in Allah, but Marxism-Leninism is atheist and aims for the elimination of religion. How could they be reconciled? The communist movement resembles a plague that spreads through all available vectors. Communism made its first, albeit failed, advances on the Muslim world shortly after the October Revolution. In June 1920, the Bolsheviks aided in the establishment of a Soviet regime in Iran’s Gilan Province, known as the Persian Socialist Soviet Republic or the Soviet Republic of Gilan. The regime carried out a series of radical reforms, including policies to expropriate landlords of their wealth, that were accompanied by a program of anti-religious propaganda. These measures proved exceedingly unpopular, and the regime was ousted by the following September. Later, the concept of “Islamic socialism” began to take hold. Representatives included Yasser Arafat, who led the Palestinian Liberation Movement (PLO) from 1969 until his death in 2004, and Gamal Abdel Nasser, who served as Egypt’s second president from 1954 until his death in 1970. The PLO, which was supported by the Soviet Union and the Chinese Communist Party (CCP), engaged in widespread terrorist activities. Algeria, South Yemen, and Afghanistan were under communist rule for varying lengths of time during the Cold War. In 1979, the Soviet Union launched an invasion of Afghanistan and occupied the country for 10 years in an attempt to prop up the last remaining communist regime in the Muslim world. Promoting communism in an area with deeply held religious beliefs is a steep challenge. The Soviet Union’s efforts to directly export socialist revolution to the Muslim world proved very unsuccessful. However, while communism itself failed to establish control over the region, it did much to influence the creation and development of contemporary Islamic extremism. Ion Mihai Pacepa, a former two-star general in communist Romania, where he was an adviser to President Nicolae Ceauşescu, acting chief of the country’s foreign intelligence service, and state secretary of the Ministry of the Interior, became the highest-ranking defector from the Soviet bloc when he escaped to the United States in July 1978. Eighty-two aircraft hijackings were carried out in 1969 alone. Many of them were the work of the PLO with support from the Soviets and Chinese communists. Pacepa recalled that when he visited Sakharovsky’s office, he noticed a sea of small red flags dotting a world map. Each flag represented a hijacked plane. Sakharovsky boasted to Pacepa that the tactic of aircraft hijacking was his own invention. Between 1968 and 1978, the Romanian security directorate made weekly air deliveries of military supplies to Palestinian terrorists in Lebanon. Archives from the dissolution of East Germany show that in 1983, the East German Foreign Intelligence Agency sent $1,877,600 worth of ammunition for Kalashnikov assault rifles to Lebanese terrorist organizations. Czechoslovakia provided Islamic terrorists with 1,000 tons of Semtex-H, an odorless plastic explosive. William McCants, counter-terrorism expert and former researcher at the Combating Terrorism Center at West Point, has observed that Islamic extremists often refer to Qutb’s teachings when explaining their motivations, and that many of them regard themselves as his successors. Ayman al-Zawahiri, the leader of al-Qaeda following the death of bin Laden, regarded Qutb’s thought as being the spark that ignited the fire of jihadi extremism. Born in 1906, Qutb studied socialism and literature in the late 1920s and 1930s. By 1950, he had already studied abroad in the United States for two years, and joined the Muslim Brotherhood after his return to Egypt. Qutb had always had contact with army lieutenant Gamal Abdel Nasser, leader of the socialist-leaning Free Officer Movement. Qutb and the Brotherhood prepared to assassinate Nasser. The plot failed, and Qutb was accused of attempted murder and imprisoned. During his three years in prison, Qutb was severely tortured. Later, conditions became more lax, and he was allowed to write. He wrote his two most important works while in prison—In the Shade of the Qur’an and Milestones. These two books, covering his views on the Qur’an, Islamic history, Egypt, and Western society, laid out in full his advocacy of anti-secular, anti-Western extremism. Qutb was once briefly released from prison. He did not take the opportunity to leave Egypt and was jailed again. In 1966, Qutb was convicted for his involvement in the conspiracy to assassinate Nasser and was executed by hanging. Qutb’s subversive thinking bestowed the Islamic concept of jihad with a new interpretation. Upon mention of jihad, many immediately think of “holy war.” In Arabic, jihad simply means to struggle or to fight. To mainstream Muslims, it can be taken to mean internal conflict (self-perfection) or defensive jihad. Qutb extended this definition to include proactive and unbridled use of violence in the “holy war” of jihad and laid out its theoretical foundations. Qutb took pride in walking up to the gallows and becoming a religious martyr. Lenin placed heavy emphasis on the importance of organization and the vanguard. He identified a clear distinction between spontaneity and consciousness, and introduced the idea of party-building. According to Lenin, with only spontaneous action, workers can only make superficial demands, such as pay raises and eight-hour work days, but they lack the consciousness needed to liberate mankind. In addition to the vanguard, Qutb’s theory also included “social equality,” elimination of classes, anti-government activity, and the liberation of mankind. All these points echo the stated aims of communism. Class struggle is another Marxist idea central to Islamic extremism. Marx spent his whole life trying to incite conflicts between the proletariat and the bourgeoisie in order to amplify these conflicts to the point of no return and finally “solve” the conflict through revolution. The Islamic extremists operate in much the same way. Did destroying the World Trade Center in Manhattan do anything to help realize the united Muslim world that Qutb wanted? Absolutely not. It was merely a means of exacerbating the conflict between the Western and Muslim worlds. In the West, the terrorist attacks incited hatred of Muslims, and vice versa in the Muslim countries. The extremists’ methods mirror the promotion of conflicts between the proletariat and the bourgeoisie by Marx and Lenin, to create the conditions needed for launching revolution. In 1974, Abdallah Schleifer, a professor in media research at the American University in Cairo, met Ayman al-Zawahiri, who later became second in command of al-Qaeda. Al-Zawahiri, who was studying medicine at Cairo University at the time, boasted that Islamic extremist groups recruited the most members from elite institutions, such as medical and engineering schools. Schleifer replied that he was not surprised: During the 1960s, these schools had the highest concentrations of young Marxists. He noted that Islamism was simply a new trend that developed in the student revolts of the 1960s. In the year that Qutb was hanged, Zawahiri, then 15, helped form an underground militant cell determined to “put Qutb’s vision into action.”  After that, Zawahiri joined the Egyptian Islamic Jihad and later became bin Laden’s mentor and an important member of al-Qaeda. After bin Laden was killed, Zawahiri became the leader of al-Qaeda. By contrast, terrorist attacks resulted in far fewer deaths in Western countries. A study conducted by the Cato Institute in September 2016, Terrorism and Immigration: A Risk Analysis, stated that foreign-born terrorists who entered the country, either as immigrants or tourists, were responsible for 3,024 of the 3,432 murders caused by terrorists on U.S. soil from 1975 through the end of 2015. This number includes the 2,983 people killed in the 9/11 attacks. An average of 74 Americans are killed in terrorist attacks annually. Despite the fact that extremist groups operate in the name of Islam, their biggest victim is Muslim society. This is because, whatever the superficial excuses, the true motivation of terrorism is a desire for killing and destruction. Arafat started the Palestinian National Liberation Movement (FATAH) in 1959 and established the state of Palestine in November 1988. Until his death in 2004, he was the leading figure of various Palestinian militant organizations. Arafat was likely the CCP’s favorite Middle Easterner. He visited China 14 times and met nearly every Chinese communist leader, including Mao Zedong, Zhou Enlai, Deng Xiaoping, and Jiang Zemin. In November 1988, the 19th session of the Palestinian National Council announced the independence of the Palestinian state. Beijing immediately acknowledged it and established diplomatic relations on Nov. 20. In 1972, the terrorist group Black September, a militant faction of FATAH, carried out a terrorist massacre of Israeli athletes at the Olympic Games in Munich. The person who planned and carried out this massacre was Ali Hassan Salameh, Arafat’s head of security and director of FATAH intelligence. In addition to the 11 Israelis killed in the attack, a West German police officer also died. Arafat was one of the first militants to target innocent civilians in his operations. The CCP has had far-reaching interactions with al-Qaeda, beginning with its clandestine collaboration with the Taliban, which provided protection for bin Laden. In 1980, in addition to sending about 300 military advisers to the mujahideen in Afghanistan, the CCP also set up military training camps in Kashgar and Hotan in Xinjiang to instruct them in skills such as the use of weapons, military strategy, propaganda, and espionage. More shockingly, after the 9/11 attacks, two Chinese military officers were hailed as national heroes for their authorship of a book titled Unrestricted Warfare, which was published in 1999. In the book, they suggested that if the World Trade Center in New York were attacked, it would open up a complicated dilemma for the United States. The authors also named al-Qaeda as an organization with the ability to carry out such an operation. Suffice it to say, the Chinese regime’s concept of “unrestricted warfare” provided theoretical guidance for bin Laden’s future operations. Hoping to prevent the United States from carrying out military interventions in Afghanistan and Iraq, various radical left-wing forces launched a large-scale anti-war protest movement. Leftists held peace vigils and teach-ins around the country. While the United States’ operations against terrorists in Afghanistan were in full swing, the professor took a two-week trip to the Indian subcontinent, spreading rumors to millions of Muslims and Hindus. He accused the United States of planning to kill three million or four million Afghans by hunger. A professor at Columbia University said he “personally would like to see a million Mogadishus.”  In the 1993 Battle of Mogadishu, al-Qaeda fighters ambushed U.S. special forces in Somalia, killing 18 American soldiers. Brian Whitaker, “The Definition of Terrorism,” The Guardian, May 7, 2001, https://www.theguardian.com/world/2001/may/07/terrorism. “Lenin and the Use of Terror,” World Future Fund, accessed November 17, 2018, http://www.worldfuturefund.org/wffmaster/Reading/Quotes/leninkeyquotes.htm. Karl Kautsky, Terrorism and Communism: A Contribution to the Natural History of Revolution (1919), accessed November 17, 2018, https://www.marxists.org/archive/kautsky/1919/terrcomm/index.htm. Brian Crozier, The Rise and Fall of the Soviet Empire (Rocklin, CA: Prima Lifestyles, 2000). Stanislav Lunev, Through the Eyes of the Enemy: The Autobiography of Stanislav Lunev (Washington, D.C.: Regnery Publishing, Inc., 1998), 80. Ion Mihai Pacepa, “Russian Footprints,” National Review, August 24, 2006, https://www.nationalreview.com/2006/08/russian-footprints-ion-mihai-pacepa/. Ion Mihai Pacepa and Ronald Rychlak, Disinformation: Former Spy Chief Reveals Secret Strategies for Undermining Freedom, Attacking Religion, and Promoting Terrorism (Washington, D.C.: WND Books, 2013), Chapter 33. Dale C. Eikmeier, Qutbism: An Ideology of Islamic-Fascism, Defense Technical Information Center, March 2007, accession number ADA485995, http://www.dtic.mil/docs/citations/ADA485995. Hassan Hassan, The Sectarianism of the Islamic State: Ideological Roots and Political Context (Washington: Carnegie Endowment for International Peace, June 2016), 26, https://carnegieendowment.org/files/CP_253_Hassan_Islamic_State.pdf. Andrew McGregor, “Al-Qaeda’s Egyptian Prophet: Sayyid Qutb and the War On Jahiliya,” Terrorism Monitor 1, No. 3, May 4, 2005, https://jamestown.org/program/al-qaedas-egyptian-prophet-sayyid-qutb-and-the-war-on-jahiliya/. Robert R. Reilly, The Roots of Islamist Ideology (London: Centre for Research into Post-Communist Economies, February 2006), 4, http://crce.org.uk/briefings/islamistroots.pdf. McGregor, “Al-Qaeda’s Egyptian Prophet,” https://jamestown.org/program/al-qaedas-egyptian-prophet-sayyid-qutb-and-the-war-on-jahiliya/. A. E. Stahl, “‘Offensive Jihad’ in Sayyid Qutb’s Ideology,” International Institute for Counter-Terrorism, March 24, 2011, https://www.ict.org.il/Article/1097/Offensive-Jihad-in-Sayyid-Qutbs-Ideology#gsc.tab=0. Roxanne L. Euben, “Mapping Modernities, ‘Islamic’ and ‘“Western,’” in Border Crossings: Toward a Comparative Political Theory, ed. Fred Reinhard Dallmayr (Lanham, Md. : Lexington Books, 2013), 20. Vladimir Lenin, What Is to Be Done? trans. Joe Fineberg and George Hanna, accessed November 17, 2018, https://www.marxists.org/archive/lenin/works/1901/witbd/. “Impaling Leninist Qutbi Doubts: Shaykh Ibn Jibreen Makes Takfir Upon (Declares as Kufr) the Saying of Sayyid Qutb That Islam Is a Mixture of Communism and Christianity,” January 2, 2010, http://www.themadkhalis.com/md/articles/bguiq-shaykh-ibn-jibreen-making-takfir-upon-the-saying-of-sayyid-qutb-that-islam-is-a-mixture-of-communism-and-christianity.cfm. Charles Moscowitz, Islamo-Communism: The Communist Connection to Islamic Terrorism (City Metro Enterprises, 2013), Introduction. Antero Leitzinger, “The Roots of Islamic Terrorism,” The Eurasian Politician, No. 5 (April–September 2002), http://users.jyu.fi/~aphamala/pe/issue5/roots.htm. The 9/11 Commission Report, The National Commission on Terrorist Attacks Upon the United States, 55, https://www.9-11commission.gov/report/911Report.pdf. Wright, The Looming Tower, 36. Glenn E. Robinson, “The Four Waves of Global Jihad, 1979–2017,” Middle East Policy 24, No. 3 (Fall 2017), 70, https://www.researchgate.net/publication/319160351_The_Four_Waves_of_Global_Jihad_1979-2017. Robinson, “Jihadi Information Strategy,” 88. Robinson, “The Four Waves of Global Jihad,” 85. Anthony Bubalo and Greg Fealy, “Between the Global and the Local: Islamism, the Middle East, and Indonesia,” The Brookings Project on U.S. Policy Towards the Islamic World, No. 9 (October 2005), 7, https://www.brookings.edu/wp-content/uploads/2016/06/20051101bubalo_fealy.pdf. Joshua Sinai, “Mining the Roots of the ‘Why and How’ of Terrorism,” review of The Mind of the Islamic State: ISIS and the Ideology of the Caliphate, by Robert Manne, The Washington Times, October 31, 2017, https://www.washingtontimes.com/news/2017/oct/31/book-review-the-mind-of-the-islamic-state-by-rober/. Seth G. Jones, A Persistent Threat: The Evolution of al Qa’ida and Other Salafi Jihadists (Rand Corp, 2014), 64–65, https://www.rand.org/content/dam/rand/pubs/research_reports/RR600/RR637/RAND_RR637.pdf. 2011 Report on Terrorism, The National Counterterrorism Center, 14, https://fas.org/irp/threat/nctc2011.pdf. Party of European Socialists, accessed November 17, 2018, https://www.google.com/url?q=https://web.archive.org/web/20130503194245/http:/www.pes.eu/en/about-pes/pes-members/parties&sa=D&ust=1542506434796000&usg=AFQjCNHwfLae215sWQn58IVwbGPeL_N0jg. “U.S. Orders Closure of Palestine Information Office, Department Statement, September 15, 1987, Transcript,” US Department of State Bulletin, November 1987，https://web.archive.org/web/20090808192756/http://findarticles.com/p/articles/mi_m1079/is_n2128_v87/ai_6198831/. Stefan Aubrey, The New Dimension of International Terrorism (Zürich: vdf Hochschulverlag AG an der ETH, 2004), 34. S. Frederick Starr, Xinjiang: China’s Muslim Borderland, first ed. (London: Routledge, 2004), 149. “China’s Role in Osama bin Laden’s ‘Holy War’ On America,” The Population Research Institute, 3, No. 23 (September 19, 2001), https://www.pop.org/chinas-role-in-osama-bin-ladens-holy-war-on-america/. Yitzhak Shichor, “The Great Wall of Steel: Military and Strategy in Xinjiang,” in Xinjiang: China’s Muslim Borderland, ed. S. Frederick Starr (London: Routledge, 2004), 158. “Ward Churchill Profile,” Discover the Networks, accessed November 17, 2018, http://www.discoverthenetworks.org/individualProfile.asp?indid=1835. Glazov, United in Hate, Chapter 14. “Nicholas De Genova Profile,” Discover the Networks, accessed November 17, 2018, http://www.discoverthenetworks.org/individualProfile.asp?indid=2189. “Lynne Stewart Profile,” Discover the Networks, accessed November 17, 2018, http://www.discoverthenetworks.org/individualProfile.asp?indid=861.